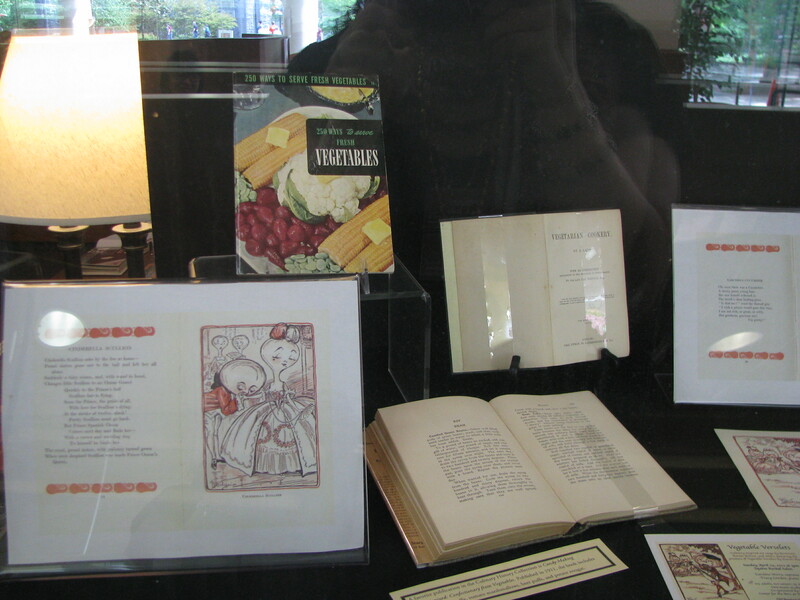 root vegetables – What's Cookin' @ Special Collections?! This week I went perusing the shelves for a feature item. Some bindings, colors, book shapes, spines, or titles can jump out at a person. The Vest Pocket Vegetable Book popped this morning for it’s size/shape and partial alliteration. Also, for it’s concept. In the past, we’ve talked about at least one “vest pocket” type book: John Goins’ The American Waiter. Like that one, this item is tall, thin, and short in length, designed to fit in a vest or apron pocket for reference. (Though WHY why might need to carry a pocket guide to vegetables is something we’ll come back to shortly.) Anyway, it’s just over 6.5 inches tall, 3.5 inches wide, and at 134 pages, about .75 inches thick. Not surprisingly, this book talks about vegetables and also supplies recipes for some, but not all, ingredients. The author uses “vegetable” in the broadest sense, as you’ll find fruits, herbs, spices, and even some grains throughout. The Vest Pocket Vegetable Book is not, as its title might infer, an advocate of the vegetarian theory, but rather, is an earnest plea for a more general recognition of the vegetable kingdom, as a prolific source of supply of appetizing, wholesome and nutritious foods for mankind. Although the concept that vegetables are “wholesome and nutritious” certainly isn’t new (we have LOTS of volumes of nutrition and dietetics history to prove that), it’s interesting to see Moore defend his position so quickly and on the first page. It gives us (and any possible readers) what its intention is–and is not. If we jump back to the idea of the “vest pocket” guide, we get a sense of intended audience, too. It is not the housewife or home cook–it’s more commercial. The object of this book is to popularize vegetables in hotels and catering establishments….The writer is of the opinion that the vegetable kingdom compares favorably with the animal kingdom in food value, and affords equal scope for preparing epicurean dishes for the table. The writer is also of the belief that where close attention is given to the vegetables the per capita cost may be reduced without detracting from the quality of the menu. New Pamphlet Round Up #1! We’re revving up for the new school year here at Virginia Tech, so it seems like a good time for pamphlet round up this week. There are always lots of new items to share, but we haven’t had a large collection pamphlets lately. It makes selection a little easier, though not by much. So many great recipes! So, the thing about bananas is that they seem to have almost too many uses. Baked, fried, or sliced? Breads, pies, puddings, and salads? Okay! Pickled, hashed, or used as stuffing? Ummm, perhaps not this time. (I promise, I didn’t actually intentionally select mostly World War II era items today! But they are so much fun!) 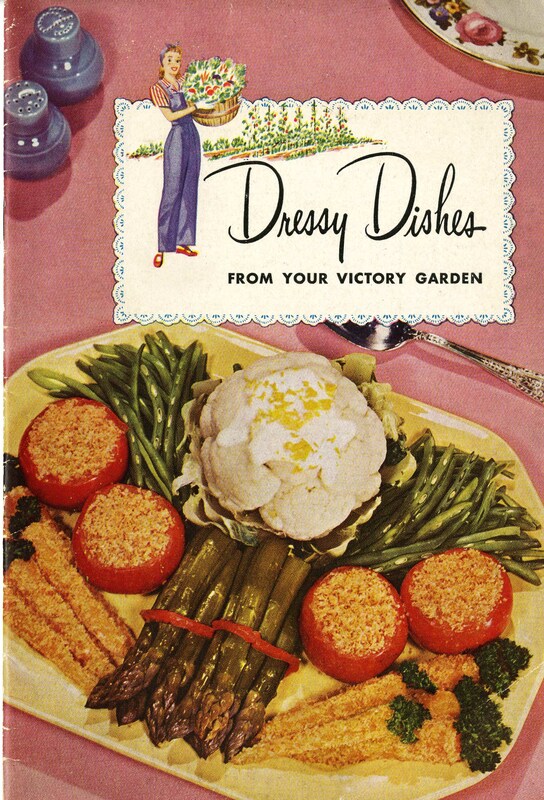 We’ll finish up with a veggie-based booklet. You can do a great deal with vegetables, which isn’t surprising. (Much like bananas, apparently?) 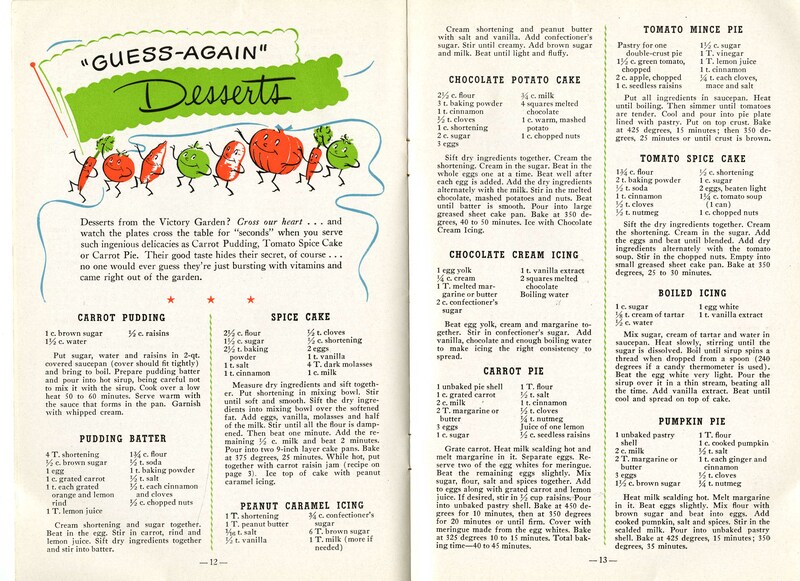 Recipes in this publication have them in jams, butters, pickles/slaws, salads, sweet and savory pies, and cakes, in addition to as main dishes. There are even potato doughnuts, stuffed and baked cucumbers, and chocolate potato cake! So, if you’re feeling selective, victorious, adventurous, or dressy this weekend and looking for a recipe to try, you might just look back. Historical recipes aren’t just for reading and research. They might just be worth a nibble, too. Opposite the title page is a portrait of the authors. 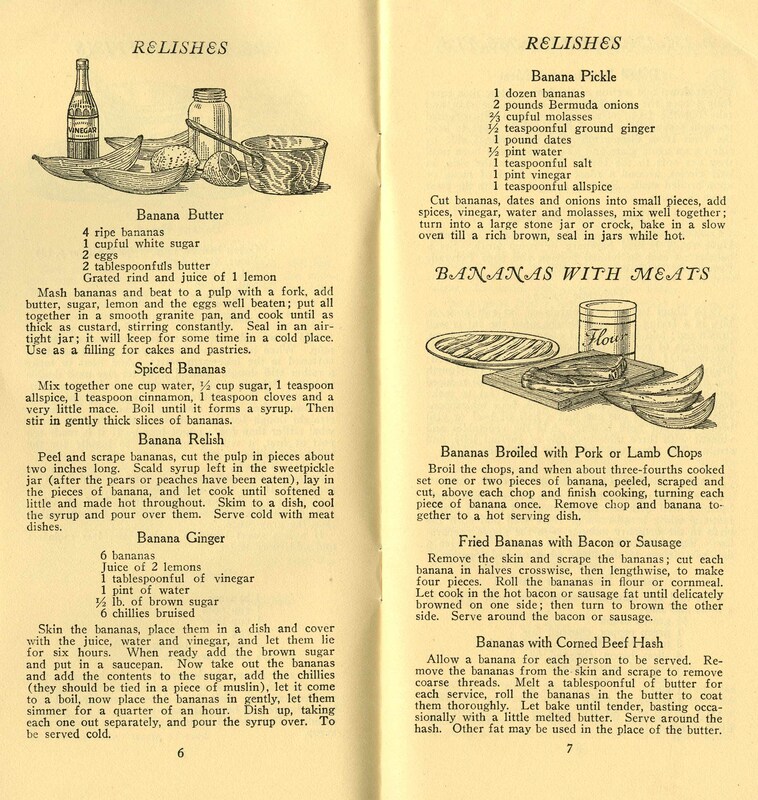 The table of contents includes a list of narrative and recipes sections. The book has a number of narrative sections at the beginning, including one defining raw foods. The authors included several pages of USDA charts on the values of food. They did include meat so that readers could compare the benefits of other proteins. But their focus was really on fruits, veggies, and other foods that could be consumed uncooked. 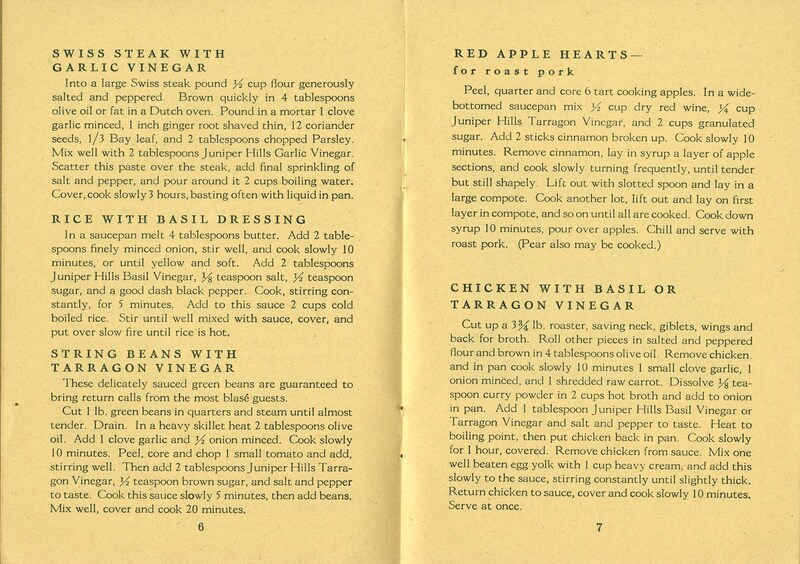 Some sections include an introduction, like this one, explaining why soup recipes were added to the book. Sample vegetable recipes! Raw turnip anyone? 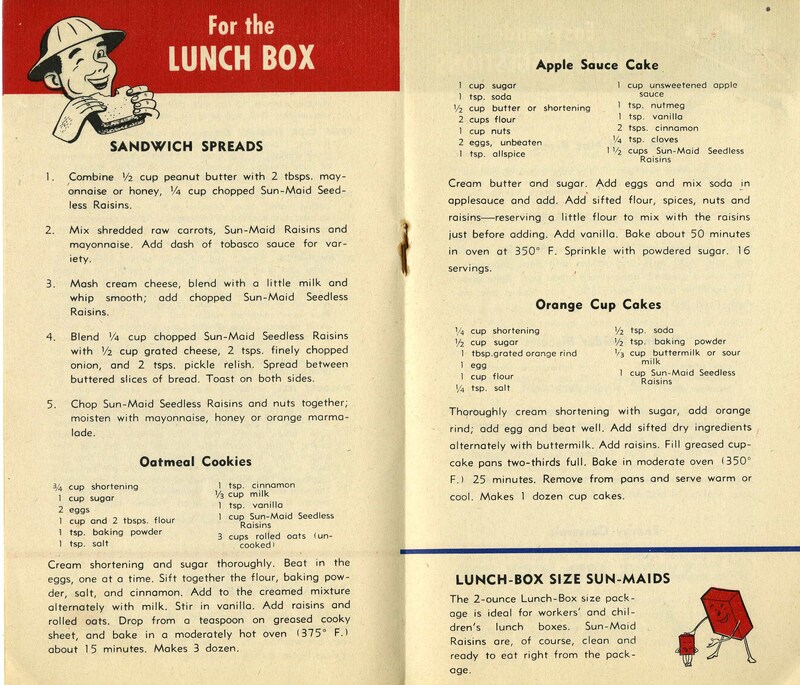 Sample sandwich recipes….which aren’t as unique as some of the things we’ve seen on the blog before. 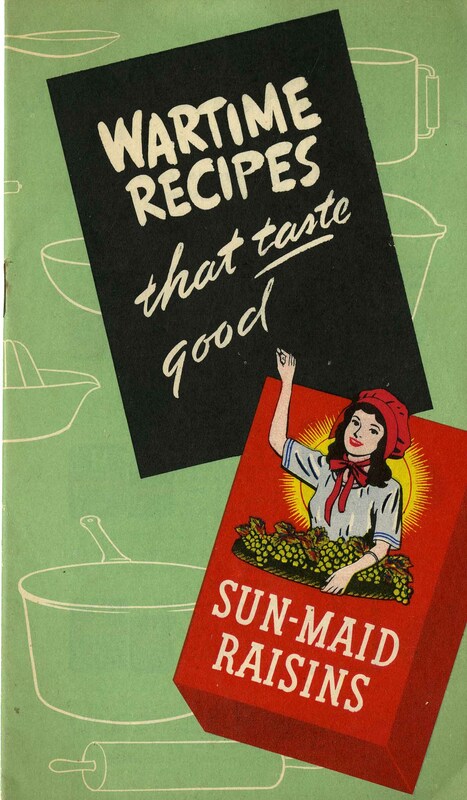 Sample salad recipes, most of which would still appeal to people today. You’ll notice that there are a few cooked/prepared foods in the book, though they seem to be carefully chosen and few and far between. The section on soup, for example, is prefaced by the statement that: “We give here a few recipes for soups only because the soup habit is so firmly fixed in the mind of the housewife and the epicure that they can hardly conceive of a decent dinner without them. All soups may be warmed sufficiently to serve hot without cooking.” All but one of the few meat or fish dishes are smoked or dried. The others are all raw, including a beef tartare recipe. So whether you’re hankering for egg-nog with fruit juice, raw carrot and turnips with (or without) salad dressing, or prune pie, this book could be for you. You’ll just have to come by and see. Until then, happy eating! This is one of those great items in the History of Food & Drink Collection that defies a simple categorization. It’s a great representation of the World War II “Victory for the U.S!” style of publications from this period. It addresses everyone in the ideal American family and is designed to create and motivate a family activity. And, in case you missed it, it promotes a company and a product (Planet Jr. Farm and Garden Implements and Tractors). All of these are characteristic of some of the kinds of publications in our collection, though seeing them all together isn’t quite as common. The thing that won us over in particular was the format: a four-act playlet. With one act for each season, this pamphlet follows a family of four as Bill and Mary convince Mother and a slightly-reluctant Dad to plant a family garden. We follow the family through preparation, planting, harvesting and preserving what they don’t consume in season. The playlet extolls the time- and money-saving aspects of the family’s garden (thanks to some communal garden tools, self-sustenance, and better use of rationed foods). It also features some none-too-subtle advertising for Planet Jr. products throughout. There are several pages at the end of the play that feature garden plans for different size plots, as well as a detailed timetable for “Growing the 41 Most Important Home Garden Vegetables” and some garden hints. The chart includes information on how much seed to buy for a family of 5, dates to plant, seed depth, space between rows, time to produce, yield per 20 feet of row, notes about each vegetable, and more! The last few pages of the pamphlet contain pictures and descriptions of Planet Jr. garden tools (mostly those mentioned in the text). Gardens may no longer be of the “victory” kind, but home and community gardens are very popular these days. So, propaganda-esque dialogue and modern families that don’t resemble the 1940s standard aside, “Grow What You Eat” can still speak to us in the 21st century. There is a lot to be gained from a garden, whether you’re fond of veggies, looking for an excuse to work in the yard, or seeking the perfect herb for the cocktail you like to sip when the day is done. So get out there and get planting (with or without your Planet Jr. tools)–the season is just starting! 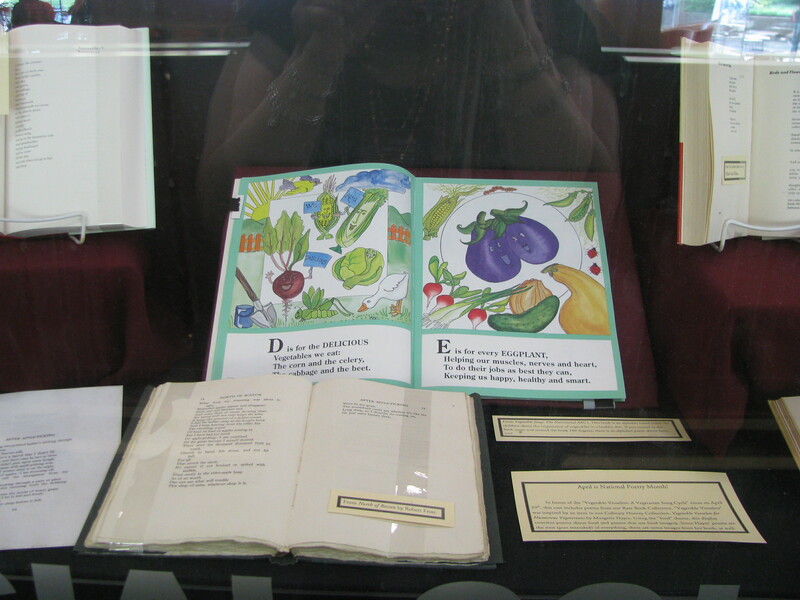 Veggie Displays in the Reading Room! 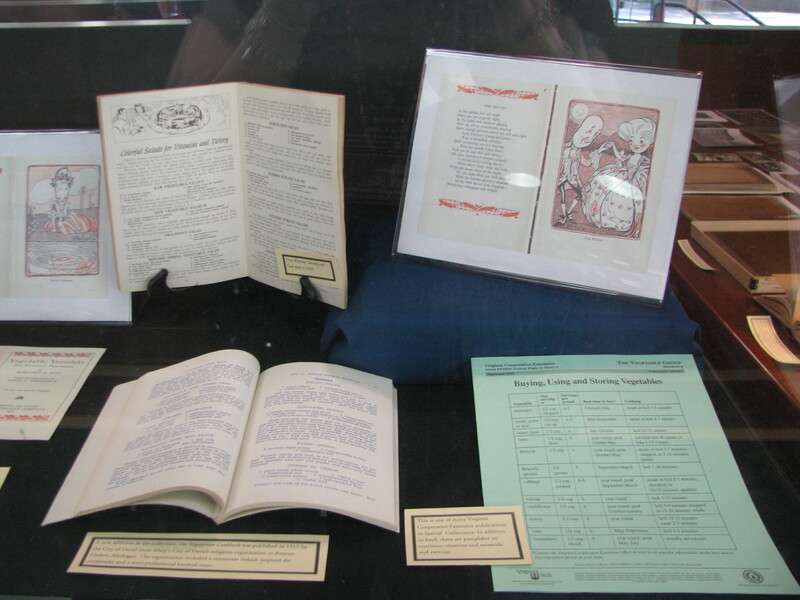 Next week, there’s something exciting happening here on the Virginia Tech campus–the premiere of “Vegetable Verselets: A Vegetarian Song Cycle!” Inspired by a book from our own Culinary History Collection, the Sunday April 29th concert event sets to music a series of poems about vegetables. 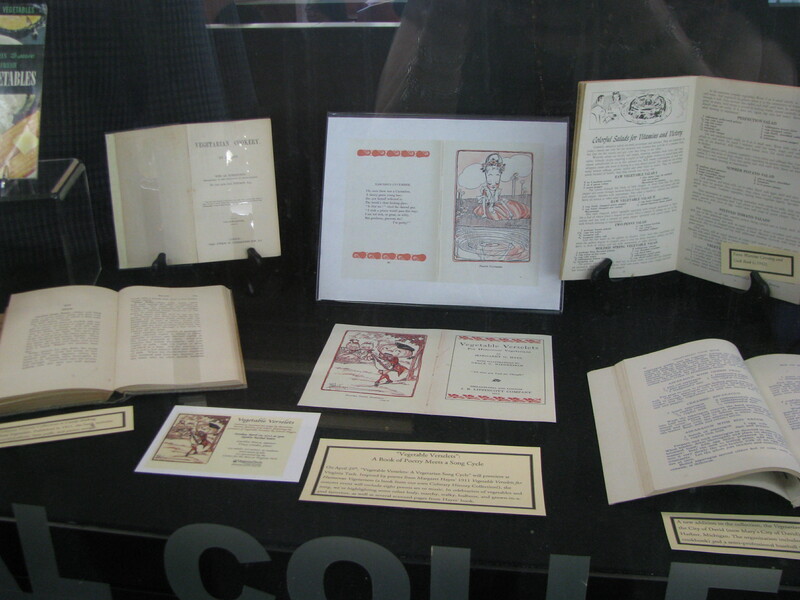 Following the concert, Special Collections will open its doors and share some of the Culinary History Collection during a reception in the library. 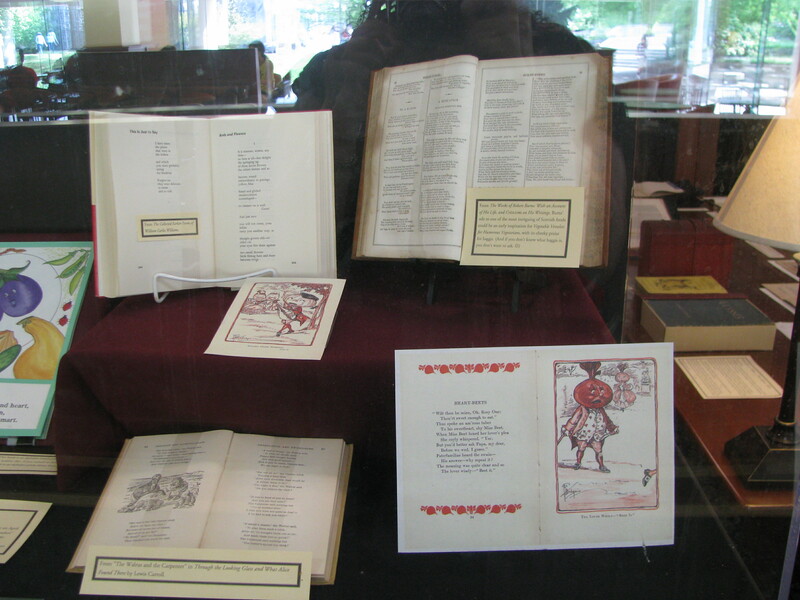 To whet your whistle, in celebration of the concern, the collection, and National Poetry Month,we have two themed exhibits in our display cases here at Special Collections. 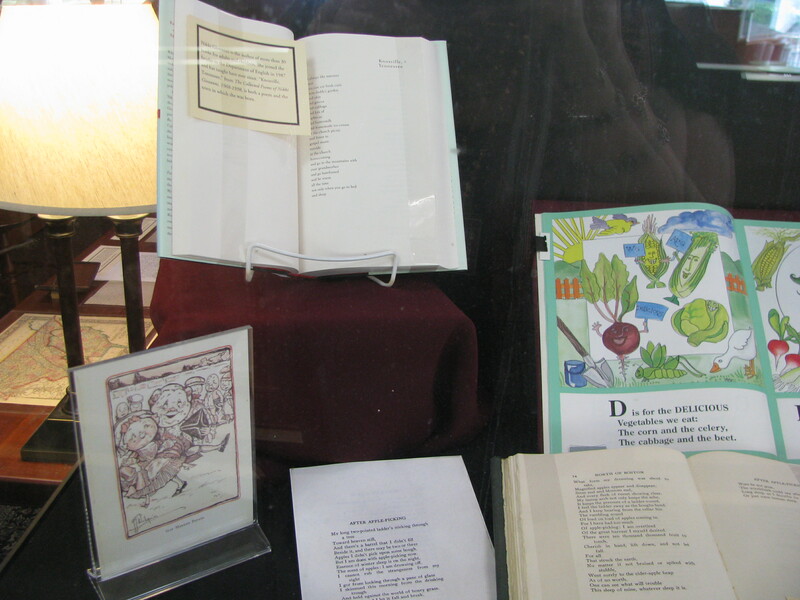 One is all about vegetables; the other is highlights poetry about food from our Rare Book Collection. There are a few pictures below, but if you’re in the area, you’ll want to stop by! More information, including ticket prices and location, is available online. We hope to see you there! For more about how this collaboration came about, check out the spotlight here–it includes a video preview. 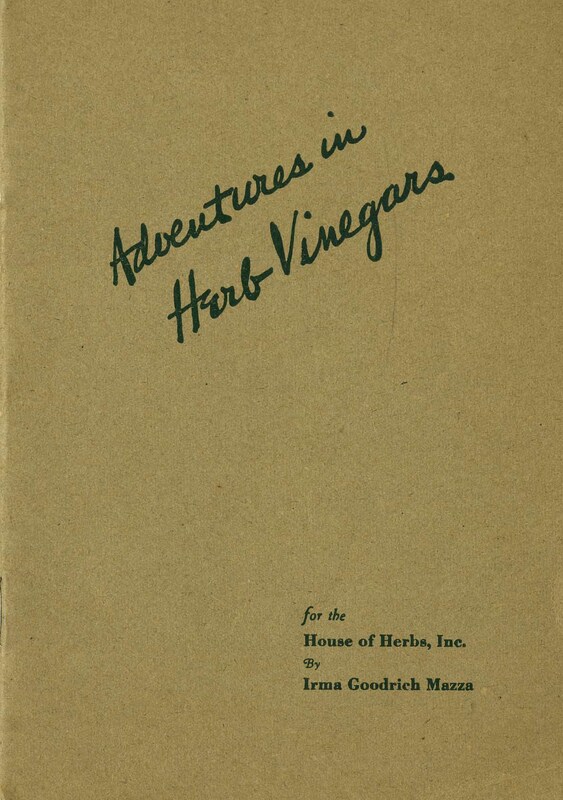 Previous posts here have mentioned the Ann Hertzler Children’s Cookbooks and Nutrition Literature Archives, but we have yet to do a feature post about it (not that a single post can contain this sub-collection!). With the upcoming concert event (more about that later this week), your archivist/blogger Kira has vegetables on her brain. Enter the Ann A. Hertzler Collection, a manuscript collection consisting of some of Dr. Hertzler’s extensive publications, subject and research files, posters, and artifacts. 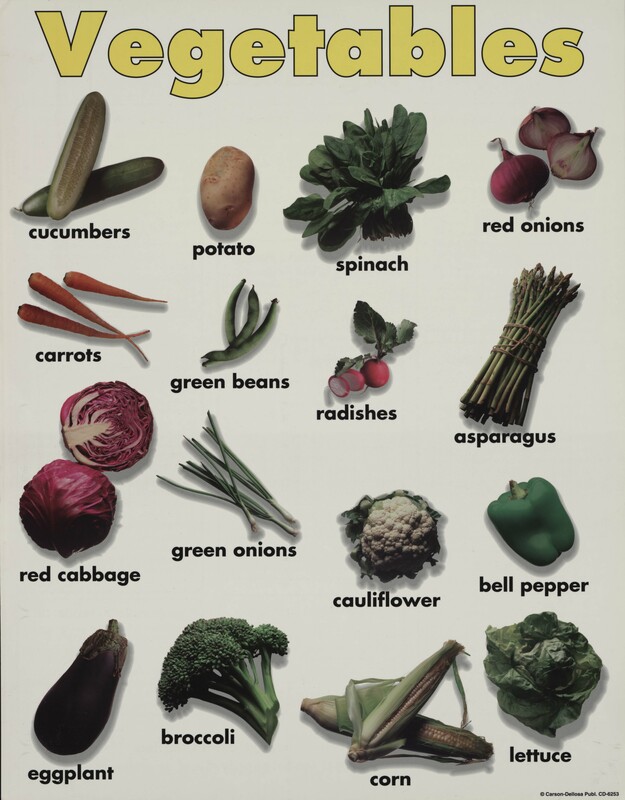 Today, we’re sharing one small piece of the collection: posters for children (and parents) about vegetables and nutrition.